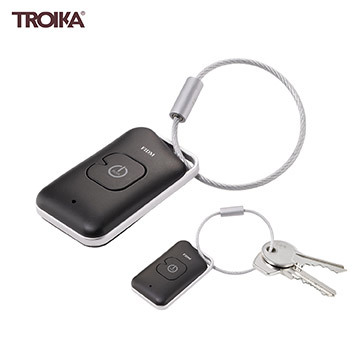 Plastic keychain with APP controlled Bluetooth key finder. Identifies location with beep and flashing light. Includes remote release for selfies.